For me, walking is a means of transport as much as anything. I prefer to live at walking speed and look at stuff as I stroll along. Maybe this is more of a European thing as the pavements are pretty much deserted here, while the traffic buzzes and toots and roars beside me. Or maybe everyone’s in more of a rush these days. Whatever the case, walking to work enables me to catch glimpses of wonder such as this view at the rear of St Patrick’s Cathedral in Ballarat. Blue-green trees in front of weathered brick; vivid spring-green grass. 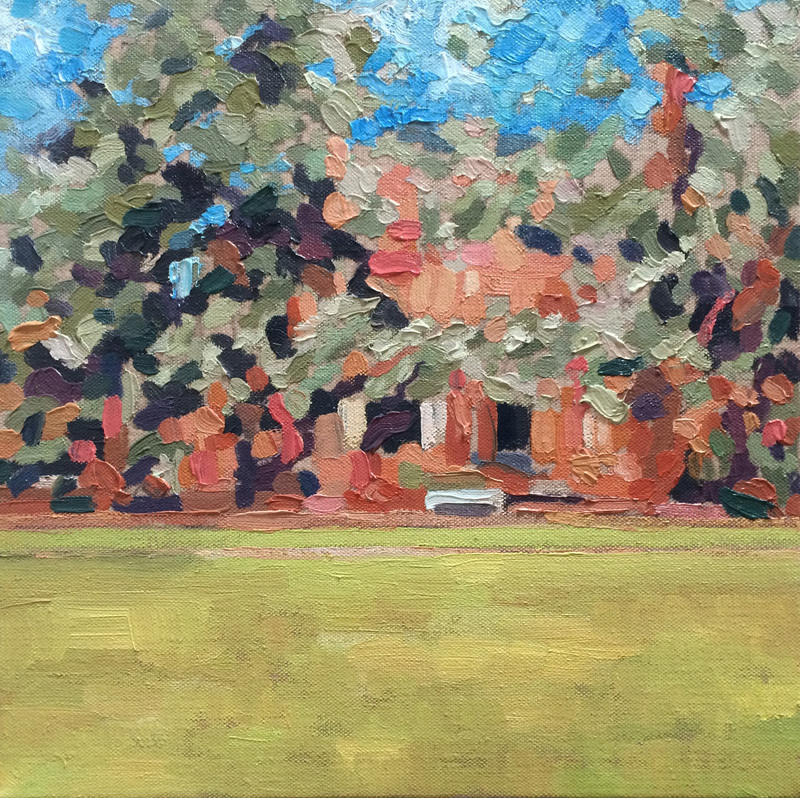 This is the latest in an ongoing series of small paintings of Ballarat. I agree – walking stimulates thought and creativity 🙂 I like your paintings, Lars.